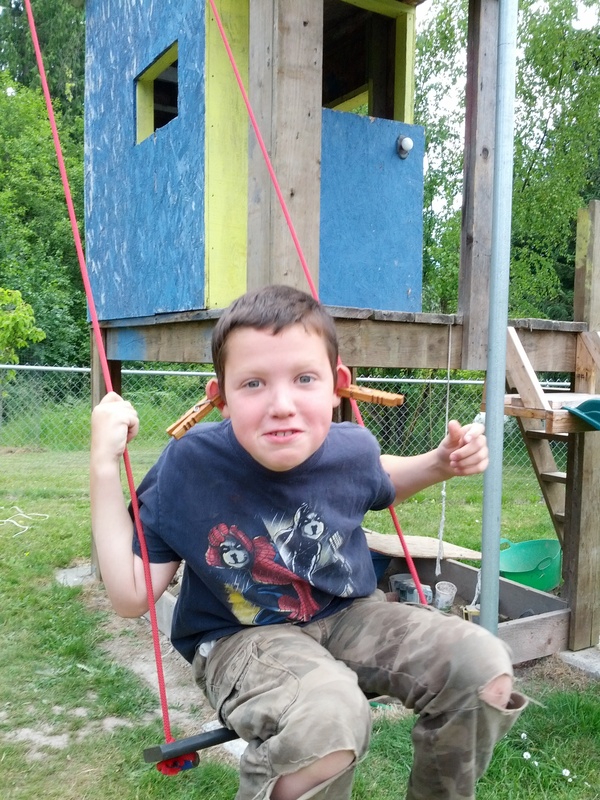 Children love clothespins. These simple mechanical wonders can keep them occupied for long periods of time. Though this can sometimes be an advantage those little ones can also be destructive. They love to squeeze the ends together but they also like to pull them apart. 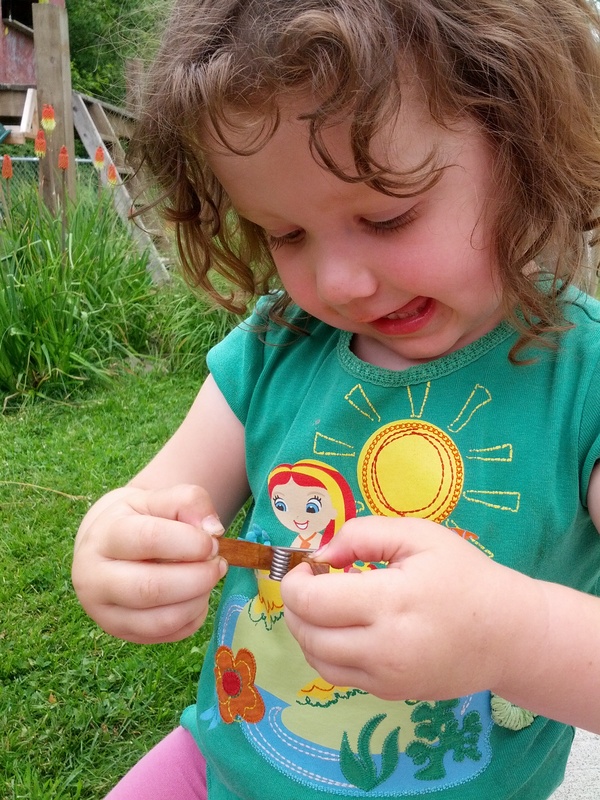 In fact my preschooler loves to find the clothespins and pull them apart. They haven’t yet sustained any damage and can be reassembled, but I am sure with enough force one of them is going to get hurt. Though our clothespins will resist destruction more than most clothespins they will still come apart with enough force. Also, If your dog or another animal decides to make one of our clothespins their new chew toy there is no guarantee our clothespins will come out the victor in that battle and remain in tact. Our Clothespins will not remain unaffected when exposed to the elements. Any wood product will take a beating if left out in the rain, snow and the sun. Due to the layer of Linseed Oil we put on each of our clothespins and the stainless steel spring they fair better than most clothespins on the market. However, Kevin’s Quality Clothespins will not remain unaffected when exposed to the weather. Therefore, if you want your clothespins to retain their beauty for a long time, we recommend you bring them inside when you bring your line dried items in. All torsion-spring clothespins, since their invention in 1887, have a tendency to close just off center, like the pins you see above. This is purely an “aesthetic flaw” within the traditional clothespin design and does not affect its functionality. Sometimes Kevin’s Quality Clothespins will close perfectly aligned and sometimes not. 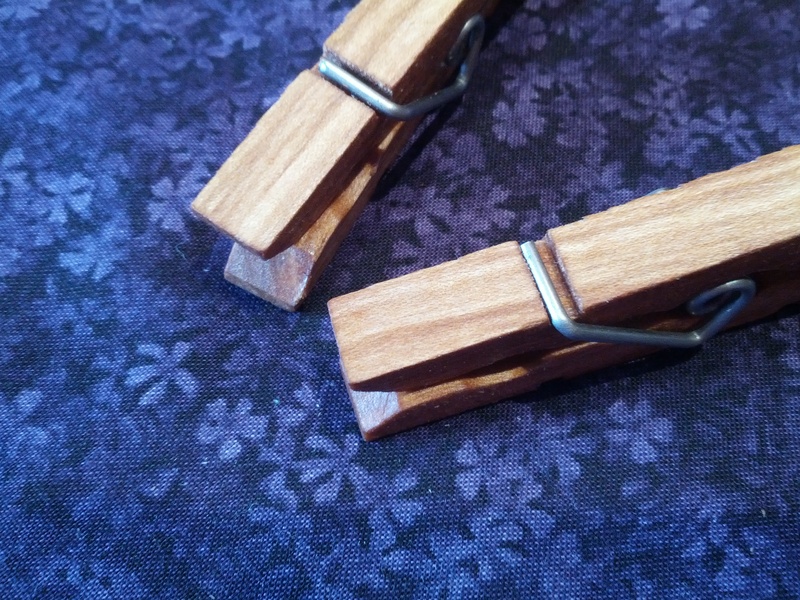 If one of your Kevin’s Quality Clothespins should break due to normal wear or manufacturing defect, return the parts (wood and spring) to us and we will return to you a new clothespin to replace the malfunctioning clothespin.